Whole-House vs. Portable Humidifiers: What’s Best for You? If you’re in the market for a humidity solution, you might be weighing portable humidifiers against whole-house furnace humidifiers. It’s possible you might not have even considered a whole-house humidifier. Since furnaces and central air systems are expensive, it sounds like a furnace-attached humidifier would probably be an expensive appliance, too. Whole-house humidifiers can actually be similar in price to high-end portable humidifiers, and the functionality they offer can often overshadow any cost concerns. Both whole-house humidifiers and portable humidifiers have their own unique trade-offs when it comes to factors like convenience, cost, maintenance, and effectiveness. Each depends on why you’re looking for a humidifier, but this guide will break down how each type of humidifier compares on each scale. Convenience or ease-of-use is one of most important items on this list. If your humidifier is not easy to use on a day-to-day basis, you’re less likely to use it at all. In that case, you’re going to end up with a household appliance that’ll sit around collecting dust. Since the whole point of buying a humidifier is to use it, you want to make sure you can see yourself using it over the long term. Maintenance is also going to be a part of this. Not only do should you consider how easy it is to use your humidifier, you need to keep in mind that any kind of humidifier will require ongoing maintenance and cleaning. Each type has its own needs, and you might personally be suited for one maintenance schedule over the other. It’s very likely that cost is going to be a deciding factor. This isn’t something that you can just take at face value because it weighs against the other three factors: convenience, maintenance, and effectiveness. Something that costs more might be a better fit for what you need overall, but it’s also possible that a small tabletop humidifier is all you need. How well does the humidifier do what you want it to do? 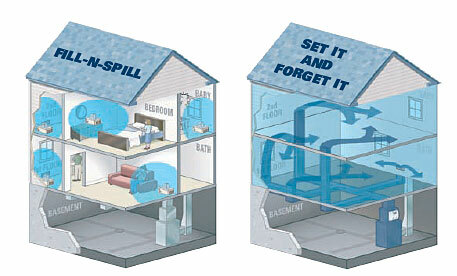 What area of your home are you trying to humidify? What sort of health issues or discomfort are you trying to address with your purchase? Each type of humidifier has a range of products and prices that go from cheap to much pricier. You might need a humidifier with bigger coverage or automation features. Or you might just need something to run in your room overnight. Make sure you ask yourself these questions before you commit to a humidifier based on price alone. Portable humidifiers come in two main flavors: tabletop and console humidifiers. Tabletop humidifiers are much smaller and can easily be carried from room to room. 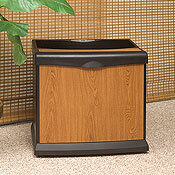 Console humidifiers sit on the floor and are much bulkier. They can be moved between rooms, but it’ll be a little more trouble than a tabletop unit. Note that some console humidifiers are marketed as whole-house humidifiers. However, how well they actually do this depends on the unit and the layout of your home. A console humidifier isn’t going to be great at humidifying an open floorplan with a living room ceiling that opens to the second floor. For the purpose of this guide, whole-house humidifiers will refer to furnace-mounted humidifiers. Believe it or not, portable humidifiers overall rank the worst in terms of convenience. They seem simple enough to use at first. You fill them with water, place them somewhere you need the humidity, and turn it on. However, you need to continually fill them with water. Most tabletop or small console humidifiers can only go a couple of days before you need to refill them. Maintenance for portable humidifiers happens on a very frequent schedule. The amount of work each time is much less than the once-a-season whole-house humidifier maintenance, but it’s recommended to tabletop humidifiers on at least a weekly basis. Some organizations recommend cleaning small humidifiers as often as every 3 days. And this doesn’t include the need to rinse and dry out your tank when it’s not in use to keep it fresh. Console humidifiers are in the same boat as tabletop units. Since they’re not connected to a water supply, they rely on a tank to supply humidity. They can be cleaned a little less frequently, but it still needs to be done a few times a month. Portable humidifiers are generally going to be cheaper than whole-house humidifiers. A top-of-the-line tabletop humidifier will probably be cheaper than a smaller low-end whole-house humidifier. Console humidifiers, on the other hand, can have a much wider price range. They go from being tiny to being much more hefty appliances. And along the different range of styles, the price range generally falls between tabletop humidifiers and whole-house humidifiers. Tabletop humidifiers shine when it comes to humidifying an enclosed room. Since they come in a variety of sizes and abilities, you can pick a humidifier that’s right for the room you want to humidify. If you need to humidify more than just one room, buying a humidifier for each room is going to get expensive and be very difficult to maintain. You’ll want to opt for a whole-house humidifier if you need more than just one room humidified. Console humidifiers can do a much better job at humidifying larger rooms and larger portions of your home. A disadvantage, though, is that since humidity only comes from the console unit, you can have an uneven distribution of humidity starting from where you place your humidifier. This can be advantageous if you’re only looking to humidify certain portions of your home. Whole-house humidifiers are mounted to your furnace and they humidify the air before it’s sent all throughout your house. They usually require professional installation, but they’re a great option for someone looking to raise the humidity in their entire home. You’ll see them come in a few different styles including drum humidifiers, drip-style humidifiers, and steam humidifier. They can also use passive air flow or be powered. Each style gives you slightly different advantages, but they’re largely the same when compared against portable humidifiers. 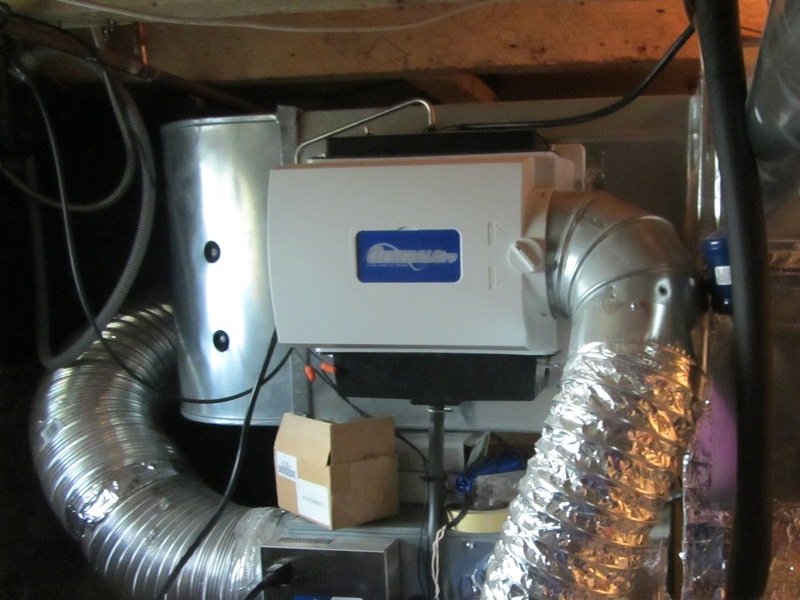 Once installation is done and out of the way, using a whole-house humidifier is as easy as turning it on for the winter season and forgetting about it. It’ll run automatically based on a humidistat, and you don’t need to refill it with water to continue operating the humidifier. 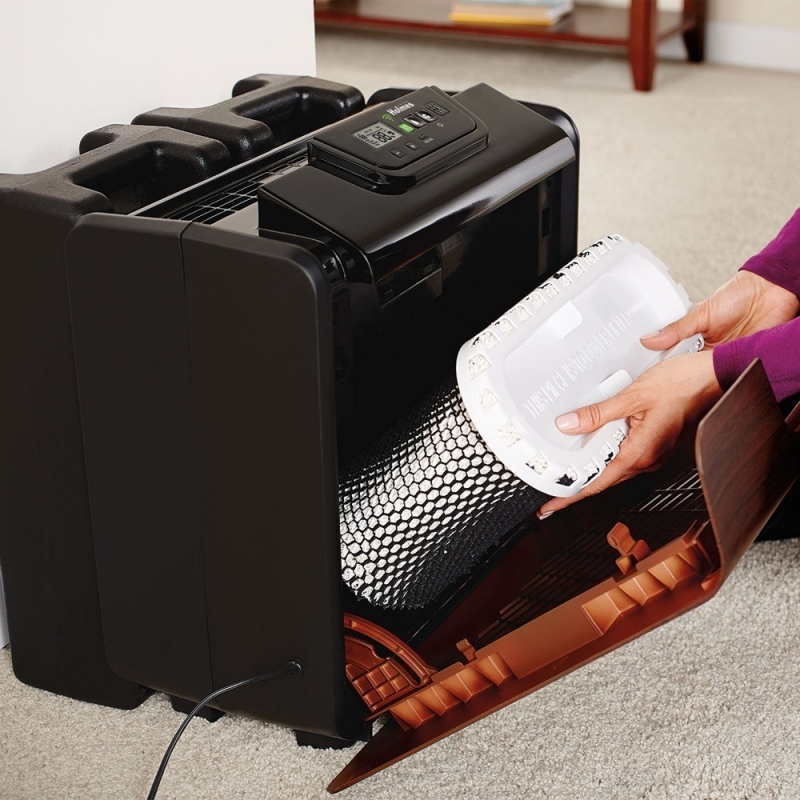 Whole-house humidifier are easy-to-use throughout the season because they don’t need to be cleaned on a regular basis. This doesn’t mean they don’t need maintenance at all though. When you’re done using the humidifier after the season, you need to meticulously take apart the humidifier and water lines to give them an inspection. The pieces should be cleaned and dried out thoroughly and replaced if any of them are at risk for breaking down. The filter pad should also be replaced every year. Whole-house humidifiers are definitely going to be more expensive to purchase. They cost more, and you can also expect to pay for installation costs from a professional. You can cut the cost of installation by doing it yourself, but you’ll still pay for materials and likely void any manufacturer warranties. Depending on the style of humidifier, you can also pay more for utilities since drip-style humidifiers are not as efficient as your typical portable humidifier. Nothing will beat a whole-house humidifier at humidifying the entire home during the winter. But it’s very well likely that you might not need your entire home to be humidified. 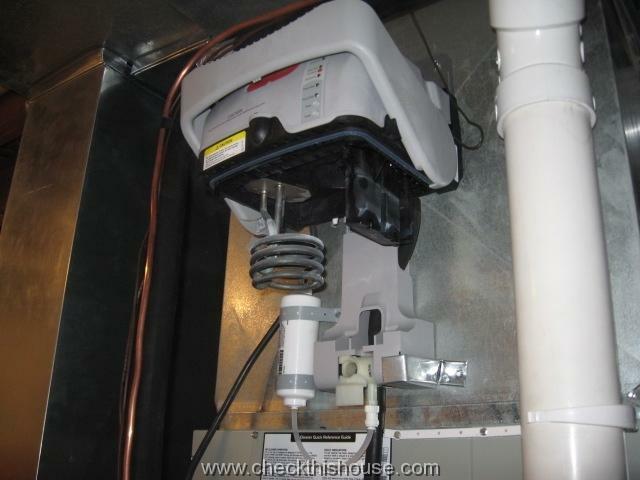 You can’t selectively humidify certain rooms using a whole-house humidifier since it’s connected to your furnace. So if you don’t want certain rooms humidified, this wouldn’t be a good fit for you. One catch of using a whole-house humidifier though is that whole-house humidifiers are not effective in the summer. They’re designed to be used with a furnace, and even if you tried to have it set up to use in the summer, the water will not evaporate well from cool air blowing over the hydration unit. The decision you come to depends on your personal needs for your health and comfort. If you’re looking to raise the humidity in your entire home, you’ll probably need to go with a whole-house humidifier. 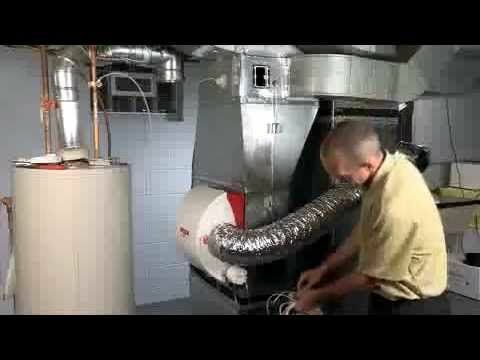 If you need to humidify any less than your entire home, you should consider how other factors like convenience and maintenance fit into how much work you’re willing to put in to keep a humidifier running. Many people also only look to use a humidifier overnight in their rooms as they sleep. If this fits your description and you need something like this all year round, a portable humidifier is going to be a better fit, especially since whole-house humidifiers can’t be used during the summer.